Mario Badilla is a User Experience and Web Designer, with a background in Graphic Design, and more than 10 years of experience designing digital learning resources at Universidad Estatal a Distancia (UNED, Costa Rica). Mario has an interest in promoting the use of open and emerging technologies in institutions, communities and in the classroom, with a human centered approach. 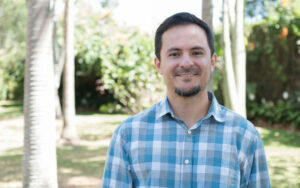 Mario has a BFA in Graphic Design from Universidad de Costa Rica and an MFA in Interactive Design and Game Development from Savannah College of Art and Design.